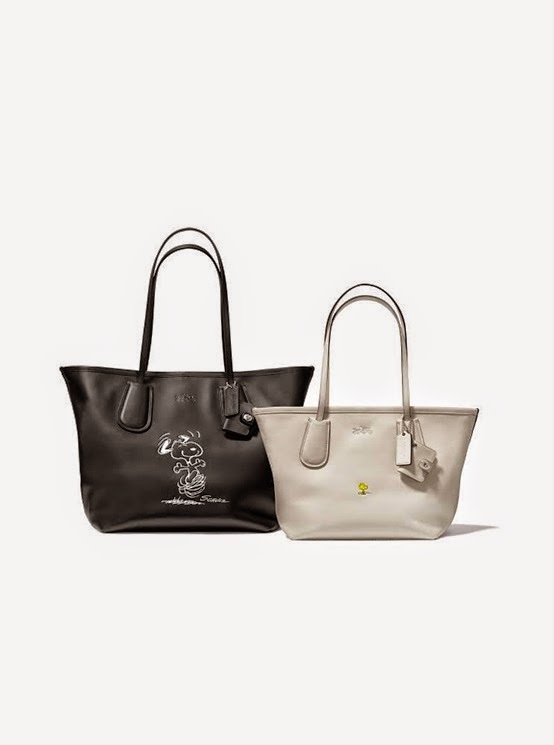 Metti che un brand cult newyorchese di accessori luxury si unisca a un’icona pop: succede questo nella capsule Coach X Peanuts. La parola chiave è playful, ma il direttore creativo di Coach Stuart Vevers ha scelto di creare una versione inaspettatamente dark delle familiari e rassicuranti ﬁgure del celebre fumetto. <>, spiega. 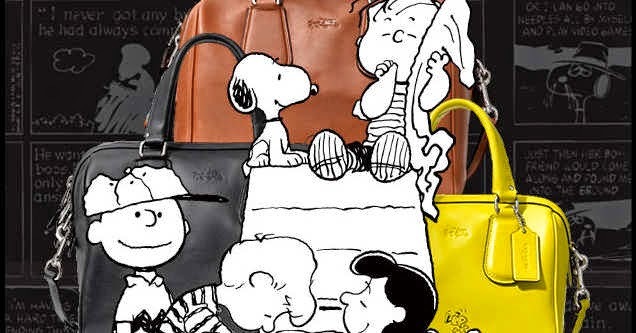 Partendo da due illustrazioni di Snoopy, le declina su borse e accessori nell’originale Glove Tanned Leather, ma anche su pupazzi in pelle nera e t-shirts. La limited edition, che su ogni pezzo riporta il marchio Coach Storypatch e il numero di serie, é stata lanciata in ottobre in esclusiva da Colette a Parigi ed e ora disponibile online su Coach.com e in selezionate boutique del brand. 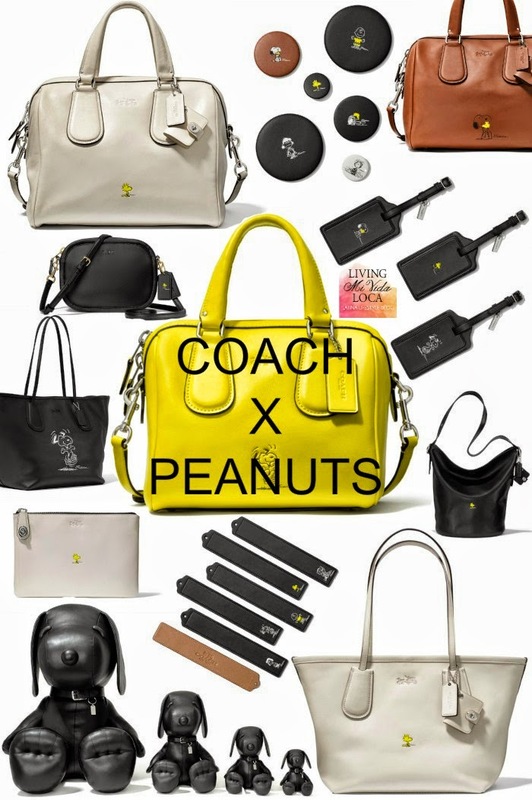 Put a New York cult brand of luxury accessories is joining a pop icon: this happens in capsules Coach X Peanuts. The key word is playful, but the creative director of Coach Stuart Vevers has chosen to create a version of the familiar and reassuring unexpectedly dark fi gures of the famous comic strip. << Is there a particular image of Snoopy very joyful that I have always loved, that immediately captures the feelings and emotions. For this project, I was curious about the idea of taking that image of playfulness and subvert >> explains. 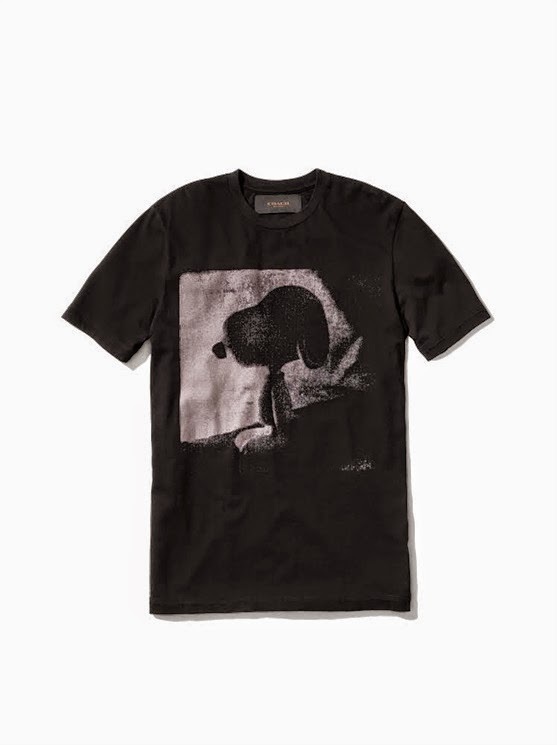 Starting with two illustrations of Snoopy, the declines of bags and accessories in the original Glove Tanned Leather, but also on black leather puppets and t-shirts. The limited edition, that on each piece brings the brand Coach Storypatch and the serial number, has been launched in October exclusively at Colette in Paris and is now available online and in selected Coach.com boutique brand.